This continues a trend that was forecast in this blog just before the November 2014 elections. More than two-thirds of the legislative houses of the States in this country are now held by Republican, as are 33 Governor’s seats. Various national polls continue to indicate: Americans are concerned about employment and the economy. They fear that illegal immigration is causing American workers to lose jobs and forfeit competitive salaries. And, they do not favor the recent global trade deals approved by Congress and signed off by the President, as well as the recent treaty inked with Iran—the one that DC pols will still not call a treaty. Polling continues to further indicate that Obamacare remains a source of displeasure for a majority of the American people. Kentucky Governor-elect Matt Bevin practically ran his entire campaign railing against how the law was strangling the residents of his state. Since the landmark laws implementation, DEMS have lost 16 United States Senate seats and 69 Congressional seats. Ironically, the sole State to buck this trend was New Jersey, where a very unpopular Governor Chris Christie’s disfavor with voters hurt GOP candidates in this month’s election. 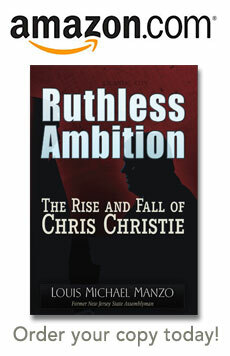 As was predicted in this blog, Christie’s Presidential ambitions remain a “bridge” too far. He’s merely hanging in the race to make a bid for a cabinet position. The future impact of Obamacare does not bode well for DEM’S, along with GOP lawmakers who failed to take steps to repeal it…after promising voters that they would do so. Right now, Americans are receiving their renewal notices for their healthcare policies—they are finding an average 40% increase in premium, along with rising costs for out-of-pocket deductibles. This is crushing modest-to-middle income families! Of course, lawmakers and staff with government healthcare programs provided to them remain clueless to how Obamacare is devastating American families. And, on the eve of the 2016 election cycle, the next phase of Obamacare is about to wallop Americans again. Effective January 1, 2016: Smaller businesses [with between 50 to 99 employees] must insure their workers. PREDICTION: Look for business to implement layoffs and to shift workers from fulltime jobs over to part-time jobs—in order to absorb the astronomical costs associated with compliance. More unemployed Americans that Beltway bureaucrats can fail to count in their unemployment statistics. Effective January 1 2016: Penalties for not having insurance rise to $659 per family member, up to $2,085 for a family or 2.5% of taxable income, whichever is greater. PREDICTION: Many Americans will be forced to default or go homeless. Many will make their decisions to purchase or not purchase healthcare based upon whichever costs less—their premium or the government fine. People’s pockets will have less money available for spending, resulting in a major hit to the economy of the country. Effective January 1, 2016: Companies with 100 or more workers must include 95% of them in a health plan. PREDICTION: More fulltime jobs transformed into part-time jobs. Companies downsize, many fold—the struggling economy and the cost of providing healthcare insurance pushes their bottom line into the red. The victims here are low income and modest-to-middle-income families and young people—factions who are, most times, typically Democratic voters in National elections. Not this trip! Americans suffering through the demise of this Nation have been left with a bitter taste in their mouths, a flavor reminiscent of the malaise dished out to another generation of Americans during the failed Carter Presidency. The impacts of this travesty will be one of the major reasons why DEMS will be obliterated at the polls in the National elections next November. Prior to that, GOP lawmakers, who promised but failed to take corrective measure in DC, will be taken out in their primary elections. Look for DEMS, including the Presidential nominee, to be forced to vow and repeal or reform Obamacare as their polling starts tanking. By then, their desperate strategy will be too little, too late. If this isn’t enough of a handicap for DEM candidates to overcome in the next election cycle, they are also saddled with defending, what history may well refer to as, the most disastrous foreign policy engaged in by an American administration—angering allies, blowing up the Middle East, yielding to aggression, retreating from leadership, and standing helplessly by as China threatens the United States’ dollar as the world’s standard currency. The other bad news for the DEM’S’ Presidential nominee and their ticket is that typically staunch support from trade unions, who are now ticked off about the Beltway’s support for trade bills that lead to outsourcing and reductions in American jobs, will gravitate to the GOP nominee—some already have. I am predicting that an outsider [most likely Trump, and possibly Carson or Fiorina] will win the GOP nomination—they all oppose Obamacare and the recent trade bills that will hurt American workers and the economy. Forget about how braggadocio and politically clumsy or inept this grouping of outsider novices may appear to the political pros, all of these outsiders represent the same thing to the American people: candidates who will take a wrecking ball to the source of their pain—the status quo in Washington. Although he is not an outsider, United States Senator Ted Cruz from Texas, also has a puncher’s chance to win the GOP nomination. He is not considered a political establishment insider, such as a Bush; or Rubio—because of where he takes his money from [lobbyist and special interests who are part of the problem] to fund his election. If Cruz can hang on after his losses in Iowa, New Hampshire, and South Carolina, and then use the huge war chest he has amassed to give him a shot at running the table in the rest of the Southern State primaries [his strength] and elsewhere, he has a shot. The DEM’S continue being led astray by the far left wing of their party—too out of touch with the rest of the country, as well as many less liberal and moderate Democrats. After the 2016 bloodbath, the party will be forced to reshape itself and tack a bit more back towards the political center of ideology as it begins to rebuild itself again. Meanwhile, the GOP establishment and donor class continue to stumble along, hoping that they can resurrect Jeb Bush à la the cadaver in Weekend at Bernie’s. Their schemes have become embarrassingly transparent to the American people and even their own base—they have also favored the lax immigration policy and the recent trade bills. They have sided with their own money interests and played dead when counted on to deliver promised reforms, despite presiding over two houses of Congress. This Clouseau-like group is also now prepared to launch a series of paid PR—negative ads—through special interest PACs, attacking the GOP outsider candidates in contention for the party nomination. A Wiley Coyote styled strategy that will, no doubt, end up with an Acme Warehouse cigar blowing up in their face. As I predicted in the last blog, Jeb Bush is over! And, now, soon to be gone will be the cabal of GOP elitists who tried to resuscitate his dying candidacy, and who remain out-of-step with the viewpoints of the American public. The GOP victor will drive these special interests out of the party—purging any nemesis opposed to his or her policy. Any way you cut it, the GOP establishment is headed for the woodshed. I still stand by my prediction that Hillary Clinton does not take the DEM’S nomination—I believe the email fiasco and national security breaches that she is embroiled in, currently under FBI investigation, will take her down. I had also predicted the demise of John Boehner and Mitch McConnell. Boehner took his own political life. The election of McConnell’s arch enemy, Matt Bevin, as Governor of Kentucky, seals the Senate Majority leader’s fate. He, too, will step down before his current term of office expires. You have just read the course of future political events that will impact the 2016 elections and their end result. Be sure and link to this blog so that you can often refer to it, and check on the progress of the predicted history of events.